A popular best product, because it reflects two of our valuable components: Elo Vera and B Propolis. B. Propolis is a rasa element; Bees use it to strengthen and protect their hives. Your skin is more important than the honeycomb, which requires immunity and a natural barrier to keep moisture inside. With a smell of Aloe propolis cream, you can say that it is full of chamomile-like herbs and vegetative components. Vitamin A and E are abundant in this thick cream. * It contains Aloe vera, B propolis, Vitamin-A, C, E.
* It's an anti-bioactive cream. * It is quite beneficial in skin diseases. * It gives great relief to patient wounds of stretch marks, dry skin, psoriasis, fatty ants and sugar. * It is beneficial in acne, nail acne etc. * Is beneficial for white stains. 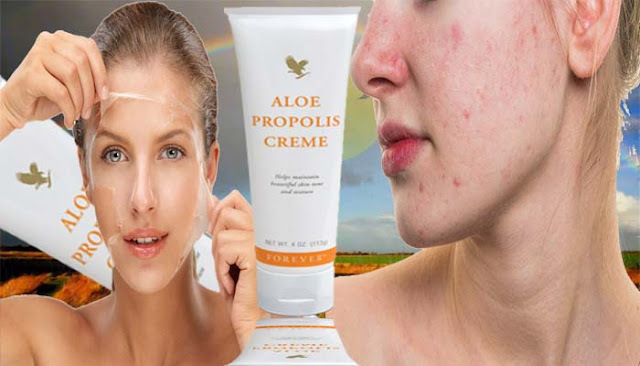 The propolis cream contains very large amounts of aloe vera. Propolis, which is a natural antibiotic, is very favored for eczema and psoriasis. Because its Elo fixes it. If someone is infected with a wound. Acne is severe acne and there is an infection in it, it also works in the treatment. If we see childhood eczema, which we call ectopic eczema. She is now very much. In this, you will see that the skin of the children becomes very fitter and it starts emerging on the body. Often there are many itching on the Elbow, behind the knees, behind the neck or on the upper surface of the hands. Children are itching there, due to which children's nails are often dirty. Therefore, they give the infection to broken skin, and this causes eczema to spread very rapidly. If you want to reduce the itching, then Aloe propolis cream is beneficial in it. Because at first, its base is a wonderful moisturizer. This moisturizer is called laminin. It has natural properties of Aloe vera gel. Applying propolis cream reduces swelling and brightness decreases and then there is also natural histamine inside the aloe vera. It reduces the itching. Children do not scratch more. If the children infect the wound, then it is propolis to take care of it. I advise people to take Aloe vera gel in the Forever Living Products together with the skin through which the skin gets nourished. It is important to keep The skin changes every time, however, it takes about 21 to 28 days for the normal skin to come. If you have anything like psoriasis, changes, and sharpness. So changing skin cells to the base of the skin, or rather, we give all the nourishment to the base of the epidermis, to be healthful and as soon as they come to the surface, by the way, the cells die and you are affected by 4 See the week later. Clean your wound first with a good, if the wound is very messy then you can use water (hot or cold) according to the season. After that, dry the wound with a cotton handkerchief or clean paper. Slowly clean the wound. You can then apply propolis cream. Note>If you are already taking any cream or medicines, consult your doctor.